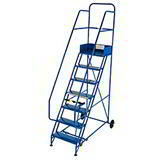 Between this and the ladders section (there is a difference), Davpack can provide more ways of getting high than a trampoline factory. 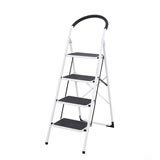 Our stools and step ladders have a range of applications for home and work, from a kick stool ideal for reaching the top shelves in a library or bookshop to hand operated mobile steps for picking from high locations in a warehouse (our largest has a platform 4 metres up!). 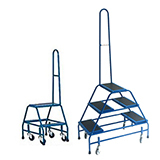 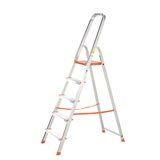 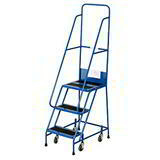 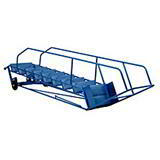 In between we have folding step stools that are lightweight and compact and safety step ladders with several features designed to protect the climber against a range of hazards. 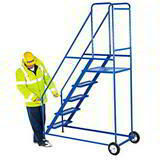 Other options you might like to consider include swingback steps, fibreglass step ladders, double sided steps and platform step ladders. 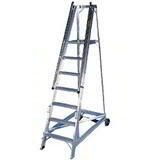 And because we source our ladders direct from the manufacturers for you, we can provide them at prices you'll find hard to beat!